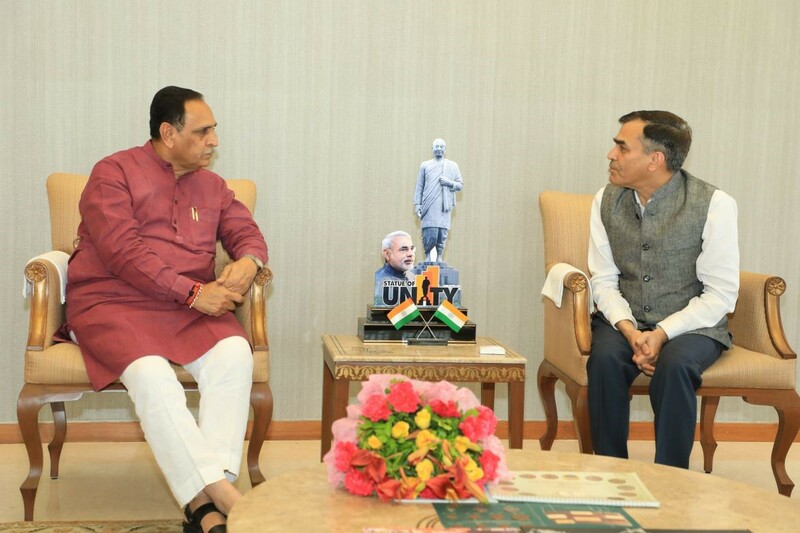 Dr H K Bhanwala, Chairman NABARD accompanied by Shri H R Dave, DMD, NABARD called on the Hon’ble Chief Minister of Gujarat, Shri Vijay Rupani on 24th April 2018 during his visit to the State. He held discussions on NABARD’s contribution in development of the State and the way forward for more effective collaboration with the state government. 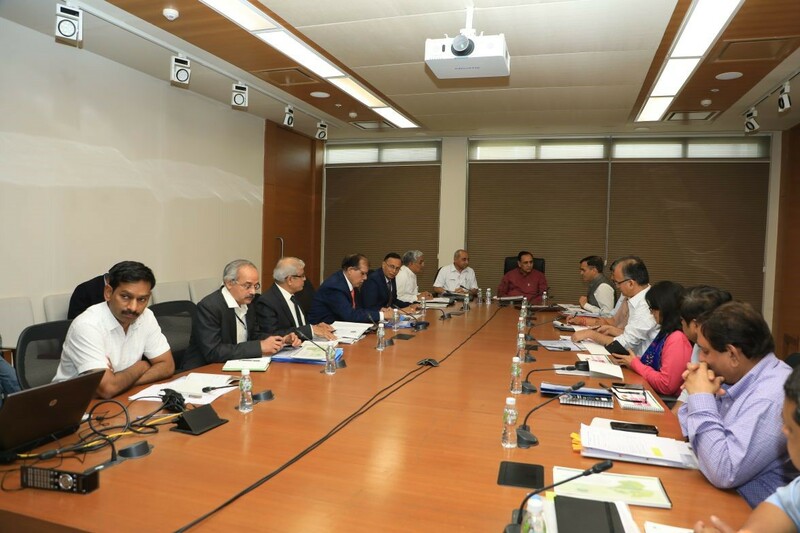 The meeting was attended by Shri Nitin Patel, Deputy Chief Minister, Shri R.C.Faldu, Agriculture Minister, Shri Sanjay Prasad, Additional Chief Secretary (Agriculture), Shri Sanjeev Kumar, Secretary (Economic Affairs) and other senior bureaucrats of the State. 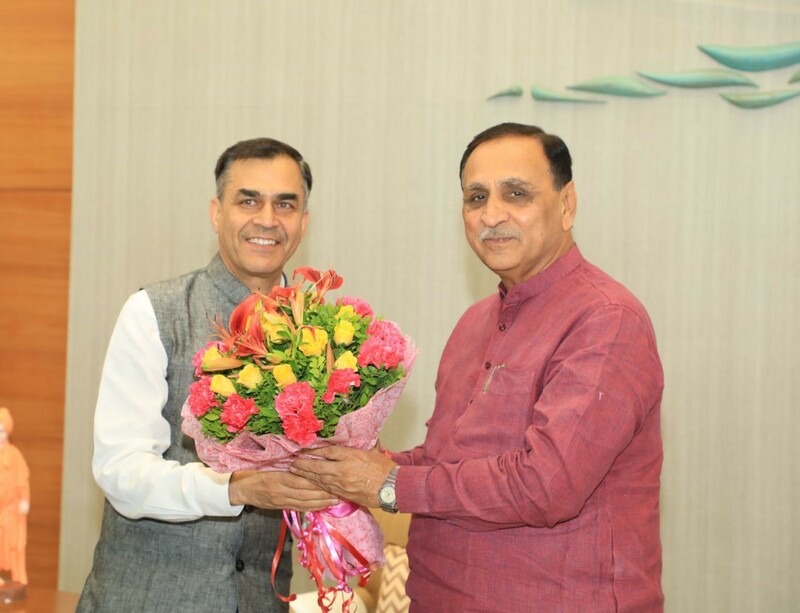 Hon’ble Chief Minister appreciated the unstinted support extended by NABARD in the development of the State. 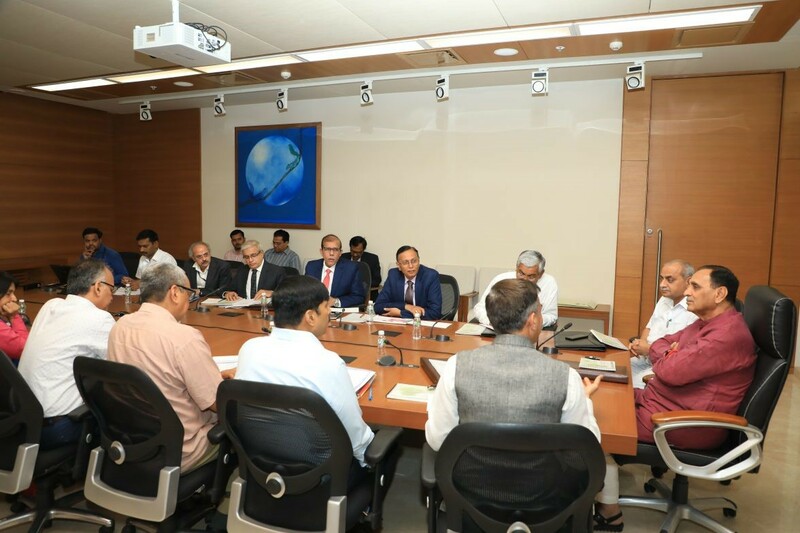 During the interaction, Chairman emphasized on the need for better utilization of drawables under RIDF, adoption of technology by co-operative banking system to remain competitive, effective implementation of EShakti program for digitization of SHGs for greater credit linkage and policy framework for dealing with frauds in co-operative banks etc. DMD (HRD) requested the State Government to expedite the pace of implementation of LTIF project and make use of all the new funds getting created in NABARD for infrastructure development. He further indicated that NABARD is open to extend as much support as required by the State under NIDA.